I’ll start with the story of Buddha, who had first lived his secular life, then started with ascetic life and then he when he started to behave the way between both extremes, he achieved the enlightenment. It is said, that while he was sitting under a tree, he heart a conversation between student and his music teacher. The teacher said " If you hit the string too hard, it will burst. If you hit it too gently, it won’t resonate. The mastery is to hit the strings just enough to get the exact sound, so all tones are in harmony." From my point of view it‘s not only the way to the enlightenment, but it‘s also the way to a happy life. I believe, there is a mage in all of us, and we all have hidden powers inside, which can be activated. But we can’t activate it before we reach certain internal and external harmony. Activation of our inner powers is related to our personal health, strength, wisdom, relative financial security (feeling of having enough) and the ability of being without thought. This article is focused on how to achieve state of being without thoughts. Those who can remain in state without thoughts, are able to perceive mild frequencies, voices from other worlds and other frequencies. Those are able to hear the voices of demons, gods, other cosmic civilisations and their higher self. In order to hear that, one has to be able to recognise automatic reactions of his/her mind. For this purpose, one should practice meditation. The vast majority of the day we are not fully conscious, but we get into automatic mind mode. This automatic mode or autopilot is given by evolutionary principle which helps us to protect our energy. For example we are learning to drive a car. At the beginning we use a huge amount of energy to learn how to drive, we need to be fully conscious to change the gear, turn right etc. but after a while, when we get used to it, it becomes very easy or we can even say automatic. That means that we don’t have to think consciously about our actions or be 100% focused. We can listen to the radio, do the phone-calls or talk to other passengers. We all "hear" in our minds internal voices: the voice of fire, water, air, earth and ether. They directly determine our actions, behaviour and decisions. First four voices belong to our material world. The fifth one is spiritual voice called ether.The purpose of this article is to understand them and change those automatic processes that we are doing unconsciously or subconsciously into doing them consciously. That means to observe and explore further our subconscious mind, understand it and and control it. magic. I will explain why. My division of elements reflects the process of creation. 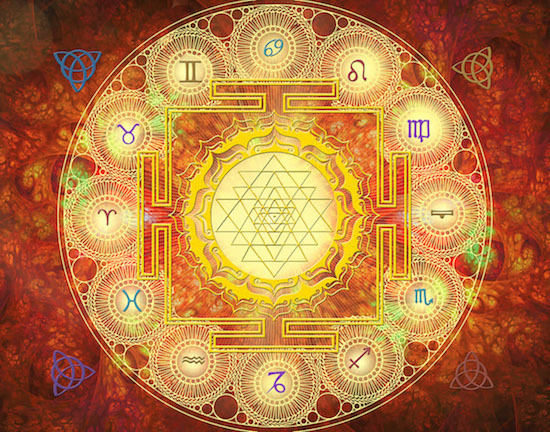 We can symbolise the process of creation with five-pointed star (see the picture below). 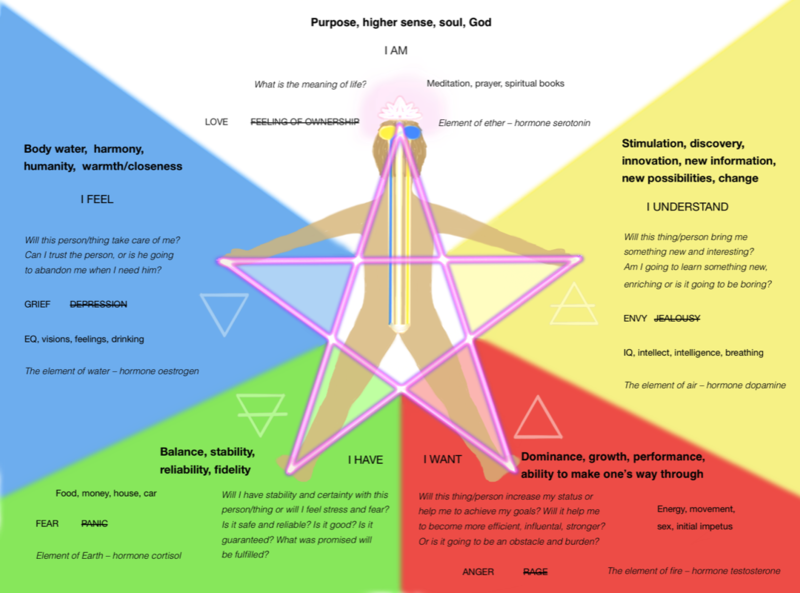 We draw five-pointed star clockwise from above –element ether (the thought). At the beginning there was a thought. Then it goes clockwise to element - Fire, which was created first, second element is the opposite of fire – Water, third element is Air which is the outcome of water and fire together and fourth element – the final crystallisation –Earth. Exactly in this order those elements were created. Then, we will finish the circle again with the thought (returning back to where we started). The pentagram below represents standing human being from behind. Thus the right side of the person would be on the right in the picture and left side on the left. The right side represents the channel of activity – active channel and the left side represents the channel of desire- passive channel. Speaking about the channels, in yoga we distinguish several thousands of channels, but the major ones are the right channel, the left channel and the middle channel. All described interactions and information are showed in the picture below. 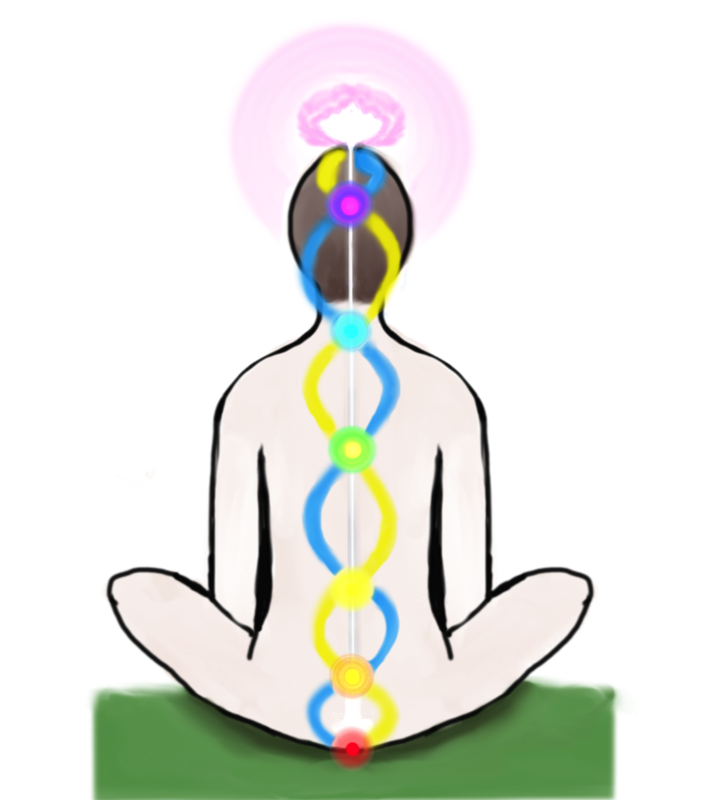 Pingala Nadi – the right (yellow) channel. It relates to the action and words. When we decide what we want, we formulate it into words and then we start doing something to achieve it (action). This channel relates to element of Air (as spoken words) and fire (as the action). Sushumna Nadi – the middle channel. This channel relates to the autonomic nervous system (ANS) in our body. So, for instance, someone who wants to speak german is going to school to learn new vocabulary (action – related to right channel). Usually we are not able to use what we’ve just learnt straight after the learning. But if we take a few-hour nap, new information settles inside and get into our subconscious, then they are avaiable to be pulled out whenever we need them. Also, when someone wants to be muscular, he goes to the gym and do exercises. But muscles won't grow immediately, they will grow during the night, when the body is resting. So the autonomic nervous system or Sushumna Nadi causes human‘s internal adaptation. This voice says: „I want.“ It is about dominance, growth, performance and the ability to make one's way through. The voice of fire is always asking: „Will this thing enhance my status, will it help me to achieve my goals? Will it help me to be more efficient, more influential, stronger? Or it is going to hold me back and slow me down? The voice of fire is connected to ego. Natural attribute of fire is „anger“. This emotion itself is natural and positive, because it helps one to circumscribe his wishes and say „no“. When you are trying to suppress this voice (Ego/fire) or to say that ego is bad, negative, then your anger changes into „rage“ - which is negative emotion. Because of this trait people are doing things, which they soon regret and which leads to destruction. Ego has to be here. But it is only about keeping your ego within limits and rising above it. Observe your ego and try to understand it, don’t let yourself to lose control and to be pulled into situations. The voice of fire can be controlled by being spiritual (working on yourself and rediscovering who you really are) as well as by other voices. That means to realise and live through that ego is only an illusion, that Me, as well as everything else, is consciousness and energy. If you take those sentences only as sentences or if you try just to believe in what they represent, your ability to control fire won’t arise. If you want to také control over fire, you need to make those sentences real and live it all through. I am eternal soul, I am consciousness and energy, which is in everything. The voice of fire is connected with strength and performance. The one who wants to rein the fire inside, has to understand and control the initial cause of why he does what he does. Why he thinks how he thinks. Most of people don’t even think about why they have their goals. Mostly when one asks: „What do you want?“ he gets an answer like: „I want to have a wife, kids, a house, a car.“ „Why?“ „To be happy.“ But that is a very shallow answer showing misunderstanding of happiness!!! None of one’s fulfilled wishes leads to happiness, but it generates other wishes! For example: „ I have an amazing woman, so I want to get married and have children with her and I want a house in which I want…“ But only person who knows „why“ (I have certain wishes) can control this element. What will happen if one gets to extreme: Those who obey too much the voice of fire inside usually become very successful but very emotionally-dried people. Usually because they aim only to achieve success, their social contacts are falling apart. Those people usually end up „burnt out“. Or when they are rich, successful, but lonely they have bad depressions. Which means that they actually jumped into the contrary element – water. The element of fire relates to hormone testosterone. Women have it also in their blood, but only in small amount. It’s amount increases when they are pregnant and in certain life situations (after having children…) and that helps them to be dynamic and pushful. A woman can have more testosterone in her blood from birth too, that is related to her past lives, then she can easily become for example a successful manager. From a scientific perspective, amount of individual hormones is given by genes, gender and age. From the perspective of magic is that amount given by karma, energy, way of thinking and character. This voice says: „I FEEL“. The main trait is „grief“ which is alright to a certain extent when someone has to say goodbye to things or people. It is a natural emotion. If this emotion is being supressed or misunderstood, then grief changes into „depression“ or „hopelessness“ which are negative emotions. This internal voice is asking: „Will this person/thing take care of me? Can I trust that person, or is he going to abandon me when I need him? Is this person/thing simple?“ That is all about harmony. „Will this person/thing make my life easier? If I am in trouble, will this person/thing help me to solve it? Will be this person interested in me later, will this thing serve me later?“ Those are the basic questions, which are comming up on one’s mind automatically. What will happen if one gets to extreme: When this voice gets to it’s extreme, one starts to be hypersensitive. He starts to be controlled by his emotions and often turns off his healthy logic. So, as was said before, that men who listen more to the voice of fire tend to follow only logical things. Asking: „What am I gonna get out of this thing? Will it enrich me?“ Voice of water is quite the opposite. And when one tends to obey this voice, he will end up saying: „ I feel like I have to be there and there. I feel I have to do this and this. Move somewhere else, quit my job, start up a new business.“ And he is doing those things despite his healthy logic saying that it is foolishness. When one is too much influenced by this voice of water, he tends to be depressed, which should be compensated with the voice of fire. So this person has to follow up morelogical and analytical things. Sleep less and work more. On the other hand, people who are listening too much to the voice of fire should compensate it with voice of water to be more balanced – sleep more and work less. The voice of water is also humanity. It tells us to build a warmth of home. I am an eternal being. I am always surrounded by other spiritual beings. I am never alone. The element of water is responsible for emotional itelligence or for developemend of this inteligence as well as the voice of fire and air influences IQ. Element of water relates to hormone estrogen. It is a female hormone, which runs in men’s blood too, especially after they have children. This hormone gives men a feeling of being home and grounded. Its primary trait is „envy“, which is alright to a certain extent, because it makes us say: „He or she did it, I can do it too. I want to do it too!“ When envy gets to it’s extreme it changes into „jealousy“ which is negative. The voice of air is about stimulation, discovering, innovation, new information, new ways, striving for change. What happens if one gets to extreme: Those who listen too much to the voice of air usually spend a lot of time doing intellectual activities, even to that extend, that they stop looking after their appearance or they become extreme adventurers. Everything is within me! I have the access to any information. And when mage starts to do astral travelling and to communicate with different beings, he can stop this voice this way. to take a risk. As one is getting older, this hormone is being produced less and then hormone which causes fear prevails. So people start to be more careful and they start to save more in this life period. For sure all those things are influenced by one’s way of thinking and how well is one able to understand and control his inner feelings. Fear is these days the most common emotion. It is the opposite of love. Every day we are dealing with media telling us that we don’t have enough time, energy, money, work. But it’s not the truth. There is enough of everything for everyone in this world. We have enough time, money, work or anything. Only because of fear we don’t treat what we have towards overall contentment. For example, we use lots of money to develop and produce weapons, to kill other people and then we don’t have enough money for other things supporting peace and protection. Mankind can’t get rid of fear until individual people will not get rid of it. This fear is naturally inside of us, to make sure that we will appreciate life, look after our body and to store goods so we can survive. What happens, when one gets to extreme: If someone lets the voice of Earth to take over the reins, he usually starts to save, and usually he is saving where it’s senseless. Usually the voice of Earth is getting stronger in us with increasing age. Excluding people who are working on themselves and trying to be spiritual – their progression goes the other way. I am eternal soul. I am immortal consciousness. The voice of Earth itself can’t be silenced, just like the rest of our inner voices. For sure you heard about millionaires dressing themselves like beggars, they are holding themselves back from good food and clothes. They are trying to disappear in the mass of people. They don’t want other people to see their wealth because they are afraid of being robbed. There are known several cases of people, who had lived as beggars and after their death it was found out that they had thousands of dollars hidden in their mattress. Who wants to control the voice of Earth, has to also control what he eats. That means that someone who eats too much or too little is not able to control this voice, conversely we can say, that this person is controlled by this voice. Only one, who understands that food is energy and he focuses on health and energy, is capable to control this voice. This voice pushes us to store stocks for worse times, what is good to a certain extent. It is all about the right amount, but until one perceives himself only as a body, he can’t find the right level. Elemet of Earth is related to the hormone cortisol. 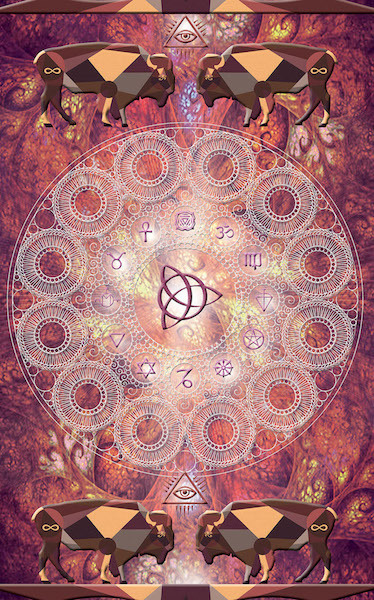 The last element is „Akasha“. Basic motto of this voice is: „I AM“. That is the one which mages are saying or as well formula which received Moses, when he saw burning bush: „Eheje, asher, eheje“. Or the same thing which is used at the beginning of the most popular mantras: „Om Só Ham“ (I am in sanskrit). After revealing this spiritual voice inside, one can control other internal voices. So those who let themselves to be controlled by other voices, which keeps them bounded closely to material world live in never-ending carousel. This voice of spirit helps us to get off that carousel and step back from this whole material illusion. Primary emotion of this voice is „love“ which is all right. When love is being suppressed or misunderstood it changes into „the feeling of ownership“ – when we want to own something or somebody. Mantra to control this voice: Previous voices you need to limit, but spiritual voice should be limited only if one gets too fanatic. And it is not too difficult to help one with that. It includes studying, understanding relativity of everything and one doesn’t need an extra mantra for this. What happens if one goes to extreme: Even this spiritual aspect, when it gets to extreme is negative. In certain point one starts to despise secular things and he is obsessed only with spiritual thigs. This isn't the right way, because our body is an instrument or a tool we need to harmonize, without the right balance and harmony of our body and other things we can’t harmonize the spiritual realm or achieve enlightment. For example: The man who want a wife, children and who always wanted to drive BMW 7. If he surpress his desires and says that they are all good-for-nothing, then he will not find the balance. Men need to reach certain level in order to understand the relativity and absurdity of certain desires. Buddha was king, student, man and father. He was amazing athlete and fighter. But only after achieving tops of all those activities, he found out that it didn’t give anything to him. Each adept has to find this out. Each adept has two options: He can achieve this success, being rich, millionaire, great athlete and student, to live through the relativity of these things, or he can remember his past lives, in which he achieved those things. If he didn’t remember his past lives or he is not able to achieve certain things, then rejection of material things will be only a „empty gesture“. The sentence: „Millions won’t make one happy“ has totally different meaning from mouth of a millionaire than from mouth of sluggard, who lives from social support. After you achieve balance of all of those internal voices, there will be an open way for happiness. Happiness without reason. When mages, sages, yogis were describing soul, they called it: „SAT-CHIT-ANANDA“. What includes three aspects in one. SAT – means light or wisdom. CHIT – means consciousness, showing that light and wisdom without consciousness is for nothing. ANANDA – means happiness without reason. It is a feeling out of duality. If happiness is here because of reason, it means that there can be also it’s opposite – unhappiness. And happiness for a reason and unhappiness are outcome of duality. Happiness without reason doesn’t have an opposite. It is a natural emotion, which shows when one is in balance. Mage has to comprehend, which inner voice inside evokes him to do certain things in certain situations. And it is necessary to realize it. Each one of us tends to listen more to one particular voice. It is essential to find our own a way, how to harmonize our inner voices. Because, as mentioned before, Buddha was talking about attuning a instrument – finding the internal and also the external harmony. Because if we follow outwardly for example the voice of fire (achieving goals, getting results, better status) our life will be imbalanced. We won’t have friends, we won’t be happy, we will be exhausted and at the end we will end up burnout. And similar it is with all other voices. The purpose of magic is to recognize yourself. Within recognizing your self are unconscious proceses turning into conscious proceses. Thanks to this, magic powers and abilities are awaking successively. Those powers and abilities won’t appear until one achieves balance and will be able to control his inner powers. Of course one can feel, see or hear some strange things and voices if he get totally disbalanced (drugs, car accident, and with that conjoined mislignment of one’s astral body, or clinical death). The trouble is, that one who is not in balance can’t control or understand these things, which are happening to him. Those cases after while usually ends in mental sanatorium. This way may be quicker, but from my point of view it is worthless way. For example one who started to communicate with spirits using way of disbalance, when he will get back on the way of balance, he will loose his abilities for a while, to gain them again. But the control and understanding of these abilities will be deeper. For example one, who started to communicate with spirits because of weakness (illness), is not usually able to regulate this communication and spirits might wake him up during the night, or contact him in unsuitable situation (driving), what is very dangerous. When one gets to these abilities thanks to his balance and strength, then these things are manageable. For instance I have 3 spirits avaiable, who works for me like „secretaries.“ They know when I am willing to communicte with other entities and spirits – during my regular meditations. If it is something they can handle themselves (like to take a death sould to a sphere where it can reincarn itself again…) When is contact with certain entity important for me as for a mage, they ask me if I want to talk with that god or spirit during my meditation, what is the purpose of their visit and we schedule a term to communicate. - If one wants to control the voice of fire, he has to understand, where the initial impulses come from. What leads him to do certain things, actions and saying certain words? In order to make this element strong, one has to take care of healthy sexual life (that means to avoid extreme sexuality, no asceticism or other techniques, but seeking colligation of body, soul and spirit). - If one wants to control the voice of water, he has to free himself from his own feelings. In order to make this element strong, one has to take care of proper nourishment of the body with water. - If one wants to control the voice of air, he has to work on his knowledge and intelligence. In order to make this element strong, one has to take care of proper breathing and thinking. - If one wants to control the voice of earth, he has to stand up against his fears. In order to make this element strong, one has to take care of the body, healthy movement and nourishment. - If one wants to control the ether, he has to take proper spiritual direction and gradually develop his/her connection with the soul. One can also use the understandig of five inner voices in daily life – sale, business, daily conversations. Doesn’t matter if one sales some products, works somewhere in a bank, if one is a mage or someone in a company who wants to promote. If he understands which voices are active inside and why, then he can quickly figure out predominant voices of others too, then he will know what is important for others and what do they want the most. because it is special. He can say that there are many regularly innovating apps. Withal this all it can be still the same iPhone. Or if you work in a company and you are talking with a client on a phone. Once you know which client‘s voice prevails, you can talk to him using it’s language. So if it is a manager, then you will tell him that he will gain lot of new information and powers to achieve his goals here. And that is what is important for that person. If it is a timid woman, you should tell her primarily: „Yes, we work on that thing until it is solved. And even after that you can always fall back on us.“ If there is someone who listens to voice of earth on the phone, then you should tell him, that it is safe, the results are permanent, and he don’t have to give up anything. And if you have a call from someone listening to the voice of air, you will tell him, that he will learn many new things, that he reveal new hidden powers inside and that everything here is still changing so there will be always new things to do. Anyone can think about more examples for other areas. And that’s why it is said: „Know yourself.“ Because only when you understand and control yourself, you can understand and control others! The voices are always here, we only have to be aware ore their presence. And that they are influencing our everyday’s decisions. These voices lead us to buy Sprite or Pepsi, Mercedes or BMW. Why do we buy BMW? Because we think that it increases our personal status. Why are we going to buy more ecologic things? Because we have more information and other voices are awaking inside of us. One, who more listens to the voice of water – the voice of harmony will buy more ecological things. 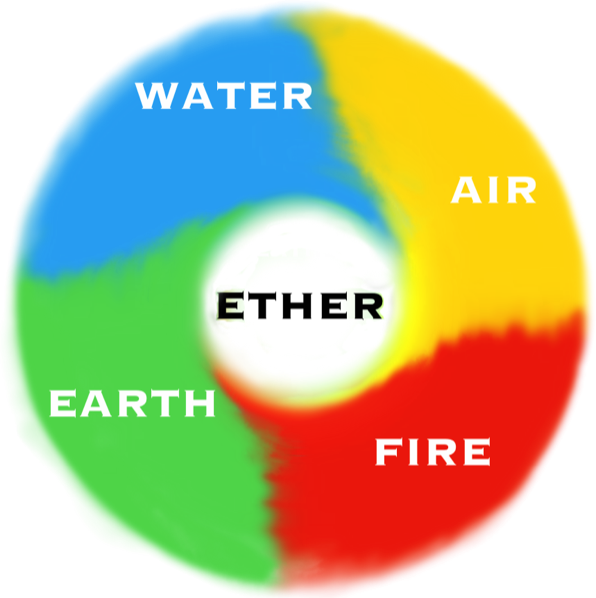 5 elements are also connected with main beings, as is said in the book „Magie“ (page 559) by „Josef Veselý“. I will introduce you few examples. The main chief of the Fire element is for example Adiel, Jovis. The main chief of the Water element is for example Hydriel. The main chief of the Air element is for example Coradiel, Sumnidiel, Coachiel. The main chief of the Earth element is for example Marbuel, Buriel, Urinaphton. 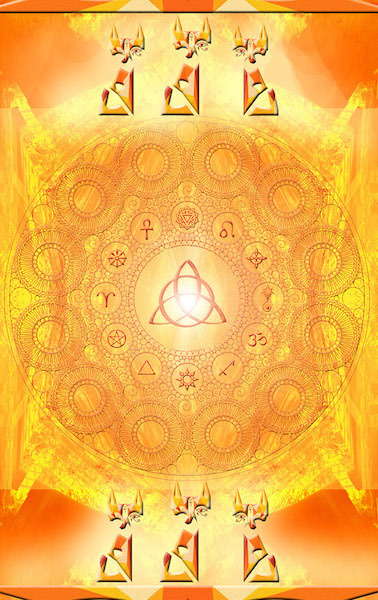 The main chief of the Ether element is for example Metatron. If one wants to have a control over those inner voices, it‘s good to contact these particular beings and their gods. 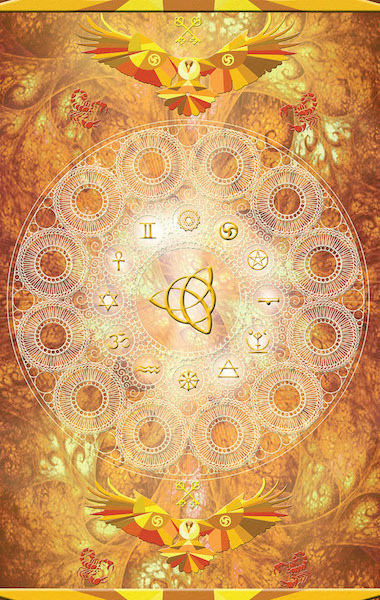 Each of these beings will tell you some of „their things“ and thanks to them you can further control the element. But until one is not able to perceive his internal voice yet, he is not able to control that element neither. So in this case contacting the relevant being is not that effective as it would be or could be. Sooner or later each mage figure out that: Yeah, in these situations I follow this and this internal voice and these things I do or I don’t do, I say or I don’t say because of this or this inner voice – at this time it will be effective to contact certain being. This being will provide you more instructions how to work or further control each internal voice or element. 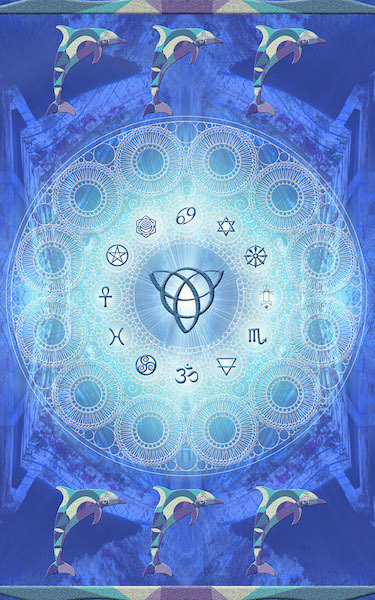 Which one of beings will contact you is related to your stage of development, your past and future lives and your karma. For more information I refer you to the elemental exercise in the book by Josef Veselý: „Magie“. Depending on this mage will be contacted by being of certain level. Someone, who is not spiritually or energetically developed yet will not be contacted by the main being of some element, but only by some „small“ spirit. These things escalate. For example: If someone is unemployed and lives from state support, then hardly anybody would want to cooperate or start up a business with him. When someone is a millionaire, then mostly everyone wants to cooperate or start up a business with him. And in a spiritual world it is the same. That means – the more conscious, knowledge and strength mage has the higher positioned spirits and more powerful beings will contact him. And conversely. The less strength, knowledge and conscious mage has, the lower will be the order of being which will contact him. For more information I refer you to read the book by Josef Veselý: „Magie“. Very important quality, which helps to take control over inner voices is humour. Someone, who can’t make fun of himself, don’t have a chance to control these inner voices. Because being too serious shows, that one clings too much onto his opinions, attitudes and ego. But if one wants to develop and to upgrowth, his opinions and attitudes will keep changing. Even opinions about magic, God, about what is good and what is not and other things. That’s why one without sense of humour don’t have a chance to control his internal voices and elements neither. Humour is the easiest way how to „punctured the balloon“ of our ego and see things from distance. So it’s very important to smile more and perceive our life from the funny and ironic side. Frantisek Bardon pointed out in his book „The gate to real enlightment“, how importand is to work on our character traits . One of the basic starting exercises is to write down a long list of your positive and negative traits and link them with particular elements. I would recommend this exercise to all of you. This exercise is called „The mirror of the soul“. For mage, it is important to realize, which positive and negative traits he possess. Because everyone is different. By linking them with certain elements s/he can find out, which inner voice is stronger. Our thinking and our inner state of mind directly affect our level of energy, and as well the state of hormones. It is known that if one is scared, his heart starts to beat faster. Or if one is stressed for a long time, he gets gastric ulcers. Those things works the other way too. Smile, good mood and positive character traits can lead to miraculous healing. Here I’d like to recommend you one book: „The Experience of a Fool Who Had An Epiphany About How To Get Rid of His Glasses“, by: „Mirzakarim Sanakulovič Norbekov“. I know many people who do magic and yoga for decades and they didn’t achieve anything. And I know many people, who do meditation, yoga or magic for just few years and they achieved a lot. The key to success is to be honest to yourself and set yourself a mirror. That isn’t easy nor simple. Often it is very painful. Another key is discipline and faith. Everyone rewards himself differently. The intensity and handling of five inner voices determine, how and why s/he reward him/herself. But only small amount of people realize, that this way of rewarding is relative and that it can be changed. It’s not something you are born with, it is something what we've learnt by observing and listening, due to our upbringing and our experiences. As well as one can reward himself with alcohol, smoking, seeing hookers or using drugs, the same person can alike reward himself with meditation, reading spiritual books, doing sport or eating good food. It depends on how far one knows himself, how he understands who he truly is and from where he gets certain impulses.